C.J. Schönherr, genera et species Curculionidum : Catalogus ab H. Jekel ... recensus et ordinatus. Calcutta journal of natural history, and miscellany of the arts and sciences in India. Publication info: Calcutta :Bishop's College Press. Canary birds : how to breed for profit or pleasure : an exhaustive treatise on all the different breeds : Authorised translation. The carnivores of West Africa. Publication info: London :Trustees of the British Museum (Natural History),1974. Catalogue des Insectes du Portugal : Coleoptères, &c.
By: Oliveira, Manuel Paulino de. Publication info: Coimbra :Imprensa da Universidade,[1887.]. A catalogue of British Ferns, including the Equisitaceae and Lycopodiaceae : intended for labels. Publication info: London :Edward Newman,[1845?]. Catalogue of Cainozoic plants in the Department of Geology. Publication info: London :British Museum1926. Publication info: LondonPrinted by order of the Trustees,1855. By: British Museum (Natural History). Department of Geology. - Crick, G. C. - Foord, Arthur Humphrys, - Spath, Leonard Frank. Publication info: London :printed by order of the Trustees,1888-1951. Catalogue of Hymenophyllums and Trichomanes. By: Natural History Museum (London, England) - Gilbert, Pamela, - Harvey, Julie M V. - Martin, Kathy S.
Publication info: London :British Museum,1872. By: British Museum (Natural History). Department of Geology. [Mollusca]. - Spath, Leonard Frank. Catalogue of the Batrachia Salientia s. Ecaudata in the ... British Museum. Edition: 2nd ed / by G.A. Boulenger. Catalogue of the Birds in the British Museum. By: British Museum (Natural History). Department of Zoology. [Birds]. Publication info: [London] :printed for the Trustees of the British Museum,1881. Publication info: [London] :Printed by order of the trustees,1884. Catalogue of the books in the Department of Zoology. Publication info: [London :British Museum (Natural History)],1880. Publication info: London,Printed by order of the Trustees,1903-15. By: British Museum (Natural History). Department of Zoology . [Mammals]. - Andersen, Knud. - Dobson, George Edward. Edition: 2nd ed / By K. Andersen. Catalogue of the Ferns and their allies cultivated in the Royal Gardens of Kew. By: Royal Botanic Gardens, Kew. - Smith, J., Mr. Publication info: London :Printed by order of the Trustees,1882. A Catalogue of the generic and sub-generic types of the class Aves arranged according to the natural system : with separate lists, distinguishing the various quarters of the globe in which they are to be procured. Publication info: London:printed by Order of the Trustees of the British Museum,1951. By: Evans, W. H. (William Harry), - British Museum (Natural History). Department of Entomology. [Lepidoptera]. Publication info: London :Trustees of the British Museum,1949. By: Museum of Practical Geology (Great Britain) - Reeks, Trenham. - Rudler, F. W. (Frederick William), - Smyth, Warington W. (Warington Wilkinson), - Great Britain. Her Majesty's Stationery Office. Publication info: London :Printed by G.E. Eyre and W. Spottiswoode ... for H.M.S.O.,1864. Publication info: London :British Museum,1849. Catalogue of the snakes in the British Museum (Natural History) / by George Albert Boulenger. By: Walker, Francis, - British Museum (Natural History). Department of Zoology. 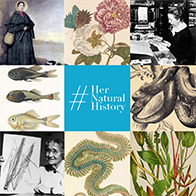 Catalogue of the subjects of natural history in the Museum of the Royal Dublin Society, also of the antiquities, &c.
By: British Museum (Natural History). Department of Palaeontology. - Morris, Samuel Francis. By: British Museum (Natural History). Department of Palaeontology. [Plants]. - Crawley, Mark. Publication info: London :printed by order of the Trustees,1924-27. Publication info: London :British Museum (Natural History),1955-1970. By: British Museum. Library. - Soulsby, Basil Harrington, - British Museum (Natural History). Library. By: British Museum. Department of Printed Books. - Sherborn, Charles Davies, - Soulsby, Basil Harrington, - British Museum (Natural History). Library. Publication info: London :Printed by order of the Trustees,1933. Publication info: London :[Society of Gardeners],c1730. Publication info: London,Printed by order of the Trustees of the British Museum,1932. Publication info: London :Natural History Museum,2004. Publication info: Edinburgh :Mr Wood's Fossils,1992. Publication info: [London] :Michael Shaffer,2008. Publication info: Stuttgart :E. Schweizerbart'sche Verlagshandlung und Druckerei,1860. The Circulator : a Magazine of Literature, Science & Art. By: Haley Hill Literary and Scientific Society. Publication info: London,Becket, de Houdt, Hawes, Clark & and Collins1764. Publication info: Berlin :W. Junk,1910-1940. By: Academia Caesarea Leopoldino-Carolina Naturae Curiosorum. Collezione d'Opuscoli Scientifici e Letterari ed Estratti d'Opere Interessanti. Commentari della Accademia di Scienze, Lettere, Agricultura, ed Arti del Dipartimento del Mella. By: Accademia di scienze, lettere, agricultura, ed arti. Commentarii de Bononiensi Scientiarum et Artium Instituto Atque Academia. A companion to the Fernery : being a complete collection of British Ferns and allied Plants named and arranged. Publication info: London :F.Y. Brocas,1854. Compte rendu des travaux de la Société d'Agriculture, Histoire Naturelle et Arts Utiles de Lyon. Compte Rendu des Travaux de la Societe Royale d'Agriculture, Histoire Naturelle et Arts Utiles de Lyon. Publication info: Paris :publiés avec le concours du Centre national de la recherche scientifique par MM. les secrétaires perpétuels :-1965. Publication info: London,L. Reeve & Co.,1870-1876. Conference report / Botanical Society of the British Isles. By: Botanical Society of the British Isles. Publication info: London :Botanical Society of the British Isles. Conférences sur la théorie darwinienne de la transmutation des espèces et de l'apparition du monde orgainique. Contributions of the Maclurian Lyceum to the Arts and Sciences. Publication info: Truro, Cornwall :Lake & Lake,1838. By: Ray, John, - Derham, W. (William), - Lankester, Edwin, - Ray Society. Publication info: London :Printed for the Ray Society,1848. Cosmos / Revue encyclopédique hebdomadaire des progrès.des sciences. The Crayfish : an introduction to the study of Zoology, &c.
Curator's Report Botanical Exchange Club. By: Nihon Hachu Ryoseirui Gakkai. Cybele Britannica : or British Plants and their geographical relations. In: Monadelphiae classis dissertationes decem. Publication info: Parisiis,Apud F.A. Didot,1785-1790. Catalogue of the holdings in The Natural History Museum (London) of the Australian botanical drawings of Ferdinand Bauer (1760-1826) and cognate materials relating to the Investigator voyage of 1801-1805. In: Bulletin of the Natural History Museum. Publication info: London :The Natural History Museum,c1993-2002. In: Atti della Accademia nazionale dei Lincei. In: Atti della Accademia gioenia di scienze naturali in Catania.